When you set your table with a theme in mind, every element that goes down is important. So you have to ask yourself, do you have the drinkware necessary to make your table theme work? If the answer is no, fear not. We offer a range of great drinkware available in our fine dining section for you to peruse at your leisure! This category is filled with a variety of different drinking glasses, all to suit your taste and need. If your find yourself needing something a bit more traditional, look to our selection of drinking and high ball glasses to fill your need. If you plan on drinking wine, we have an array of glasses to choose from, based not only on personal taste and theme but also on what type of wine you are drinking! 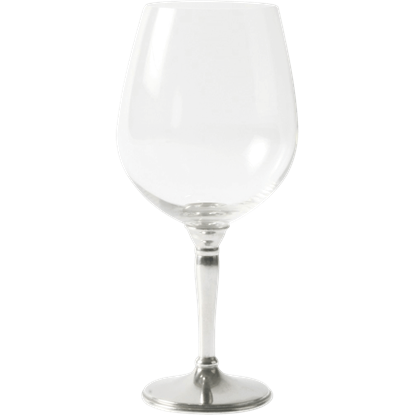 We have red wine, white wine, and burgundy wine glasses to choose from, as well as champagne flutes too. For your other spirits, we have old fashion glasses, tumblers, cocktail glasses, and even a snifter or two floating around for you to choose from! Once you know what kind of glass you need, you can chose your theme, as we have glasses decorated with oak leaves, glasses supported by octopuses, renaissance themed flutes, antler handled tankards, solid metal julep cups, and more. No matter what you offer or what your guests drink, make sure you have the right glass for the job by shopping in our drinkware section. 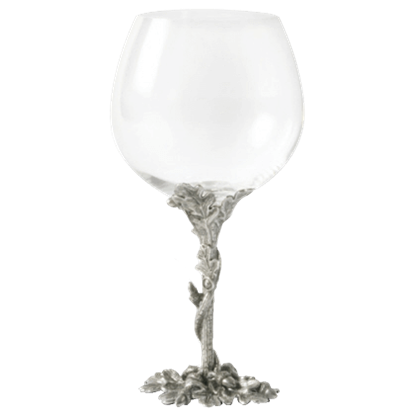 Enhance your wine drinking experience with the proper glass for your favorite vintages. 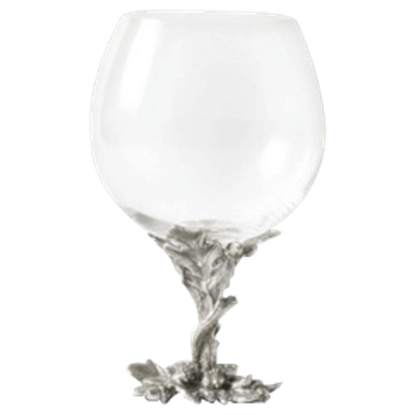 For Bordeaux wine, nothing suits better than the Acorn and Oak Leaf Bordeaux Glass with its special design to provide the best Bordeaux experience. The proper wine glass can infinitely improve the experience of consuming your preferred vintage. 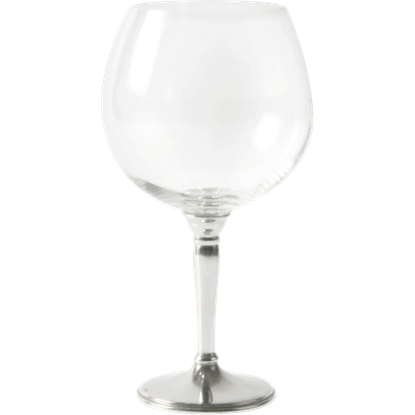 To achieve the best flavors in your favorite Pinot Noir, you need the shape and style of the Acorn and Oak Leaf Burgundy Glass. For your next celebration, enjoy your favorite sparkling wines with this stylish glass, designed with champagne in mind. 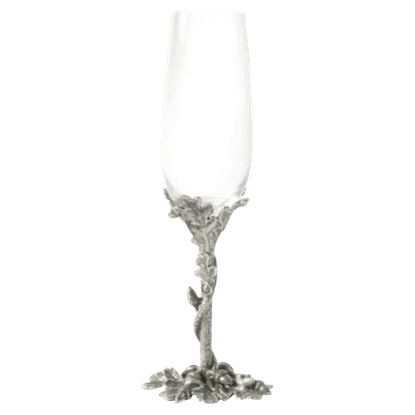 The Acorn and Oak Leaf Champagne Flute will let you experience your bubbly spirits to the fullest. For the perfect martini, whether you take it shaken or stirred, you need the perfect glass to accompany your drink. 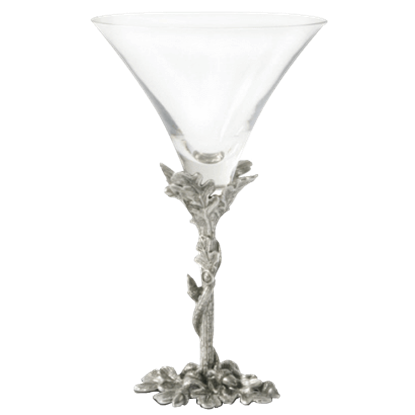 The Acorn and Oak Leaf Cocktail Glass offers nothing short of the perfection you desire in its detailed design. The exceptional cognac that you enjoy deserves an equally exceptional brandy service. This stunning Acorn and Oak Leaf Cognac Snifter enhances the beauty and experience of drinking this heart and mind-warming spirit. 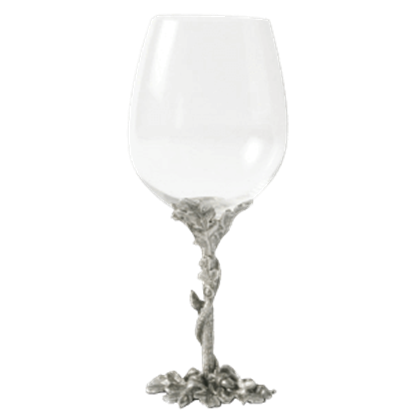 Be ready to serve any red wine you encounter with the fine Acorn and Oak Leaf Red Wine Glass. 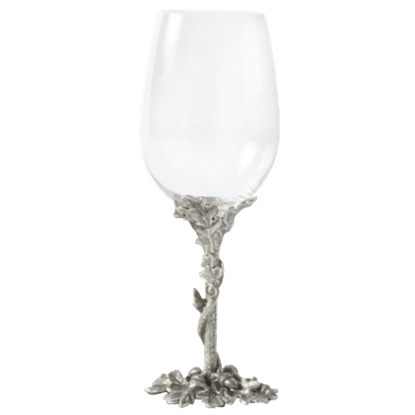 Your favorite vintages will become a delightful experience when enjoyed from this specially crafted, nature-inspired wine glass. No matter what the guests drink at your table, you should always have the right glass to serve their beverage. With the Acorn and Oak Leaf Water Glass, you will be ready with the perfect formal stemware for ice water. The shape and design of a wine glass can greatly affect your experience as you enjoy your favorite vintages. 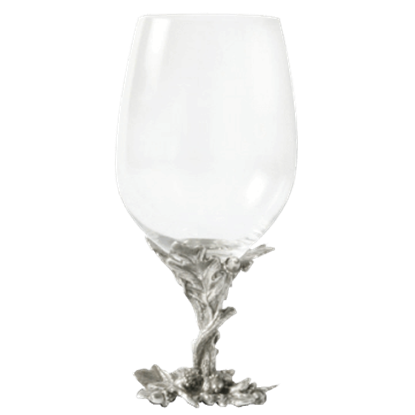 Be ready to serve any white wine that piques your interest with the Acorn and Oak Leaf White Wine Glass. 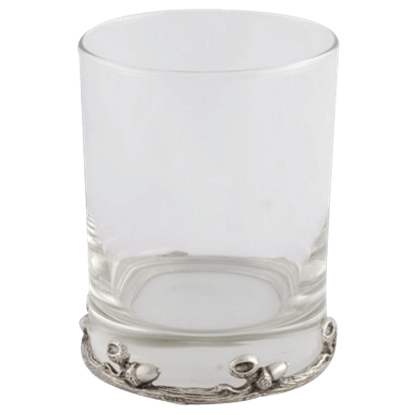 Enhanced with just a touch of forest mystery, the Acorn Old Fashioned Glass makes a great, understated symbol of beauty and status. This fine glass makes a fantastic addition to your barware with its useful and stylish design. Designed to complement any style of dinner service, the Classic Pewter Bordeaux Glass looks lovely on any table. Whether you are serving a weekday dinner or hosting an elegant formal dining event, you can enjoy this classic glass. Designed to complement any style of dinner service, the Classic Pewter Burgundy Glass looks lovely on any table. Whether you are serving a weekday dinner or hosting an elegant formal dining event, you can enjoy this classic glass. The highly polished pewter stem of this minimalist cognac glass makes it equally lovely to look at and delightful to hold. 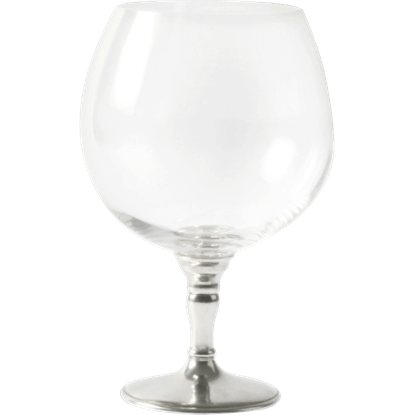 The Classic Pewter Cognac Glass provides the ultimate cognac experience with its traditional design.